If you plan on having a business of any kind, we imagine that you will want it to be a roaring success. In order for that to happen, you are going to have to attract customers, which means getting your business and your message in front of as many eyes as possible. The great news is that regard is that there are a ton of ways to do that, the vast majority of which we can help you with here at Top Class Signs and Printing. It doesn’t matter what type of business you want to start, you will need to have a website in today’s market. Most people looking for a product or service nowadays simply hit the internet and go to their favorite search engine. We offer affordable web design packages to help you get the ball rolling, but it takes more than just having a great looking site designed and uploaded to the internet. As we said, search engines are how people find what they need, and in order for your site to appear at or near the top of relevant search result, you are going to have to do a little bit of search engine optimization (SEO). There are certain things that search engines look for when they deliver results, and this is where SEO comes into play. You need to make sure that your site offers fresh, original content, all of which should feature keywords and phrases that are applicable to the industry you serve. That is a great place to start, but it’s just the beginning of your SEO efforts. Start out with a great Miami web design and then you can start to focus on your SEO strategies. A great website will help with your branding efforts, but you also need to get your name and logo out there in other ways, too. One effective way to do that is with the use of corporate apparel that can be worn when you are out doing promotional stuff. A nice looking shirt with your company logo emblazoned on it can really make an impact, especially if you are persuasive in yourpitch and the way you deal with potential customers. They will remember your face, but they will also remember your company if it’s looking them right in the eye. We offer embroidered shirts Miami that are casual but also a little dressy. You might also think about screen-printed t-shirts that can be used as giveaways to prospective customers in Doral, Hialeah, Kendall and other areas surrounding your business. As effective as corporate apparel can be, there are still folks that will forget the name of your company the moment you leave. 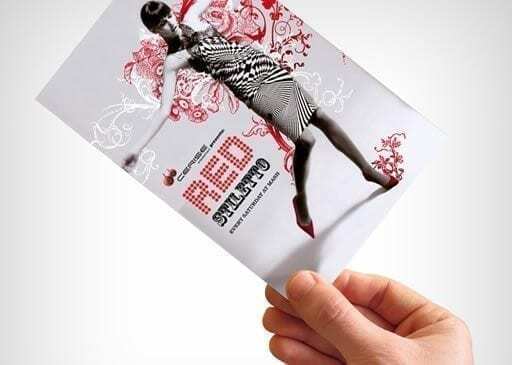 Rather than having them wrack their brain, let us make you some great looking business cards and brochures, all done in full color printing that is sure to impress. These are a great way to get your name out there and put your business in the mind of the customer every time they see them. Another way to do that is when you take an order that requires a receipt or invoice. We offer carbonless form printing so that you can have a neat, tidy way to give the customer a receipt or invoice that won’t leave their fingers all black and messy. Those are just a few of the great printing in Miami services we offer to help promote your business. Another great way to market your business is via tradeshows in Miami and the surrounding area. This lets you get in front of the customer and show off what you have to offer, whilst also putting a face on your business. If you do decide to go the trade show route, there are a number of things that you will want to have in your arsenal before you arrive. People who attend trade show do so with a certain expectation that they are going to walk away with some freebies. 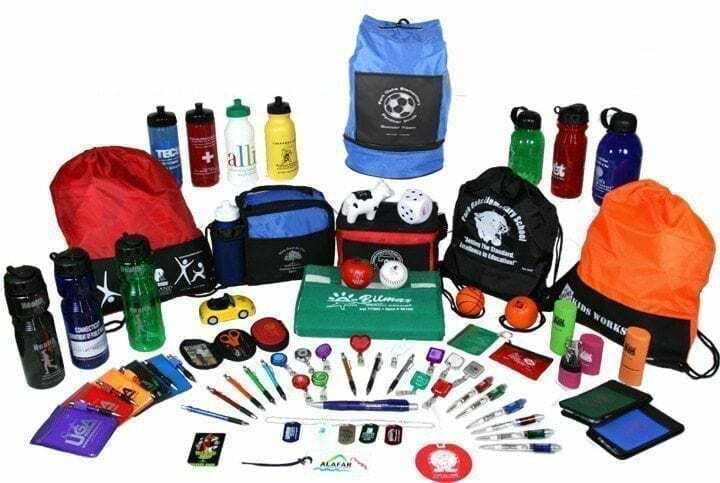 That is why it’s important to have a nice selection of company promotional products, all of which should bear your company name and logo. WE have a huge selection of these types of items for you to choose from. It’s a good idea to pick out a few different ones that you think best represent your business and what it is you offer. Try to go with functional type items such as pens and the like, as those tend to be used often, with your company name in front of the potential customer every time they scribble a note. The average trade show has a ton of different booths, which means you need to make every effort to make yours stand out in the crowd. 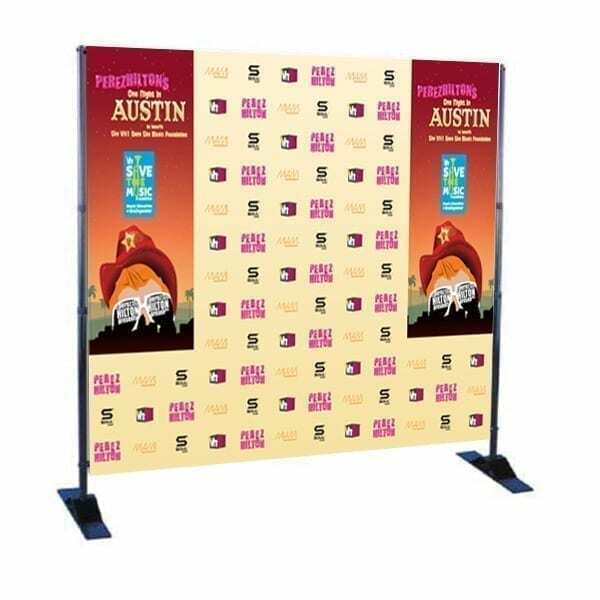 We can create full color expo displays that are sure to make that happen for you. 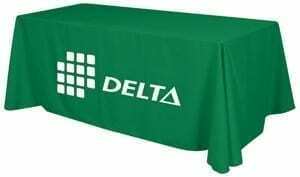 If you are going for something a little more subtle, but still want to be seen, you might consider getting your hands on one of our imprinted table covers. 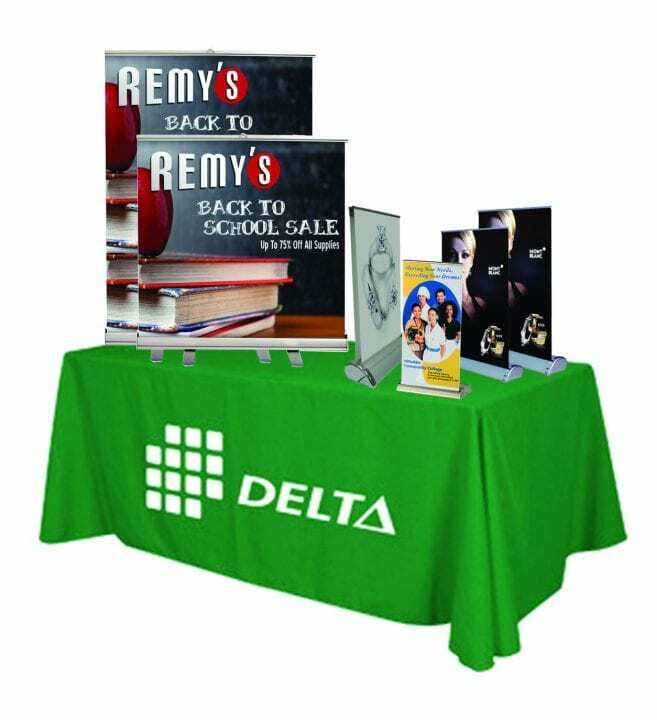 These brightly colored covers will show off your company name and logo, turning your drab table and booth into something bright and memorable. The most obvious way to get your company seen is via building signs that let people know you are there. We make all kinds of different signs to suit the size of your building and the style that you want to convey. You can go with something bright and bold like LED signs, or choose to go with office signage that is a little more demure, yet still gets your message across nicely. 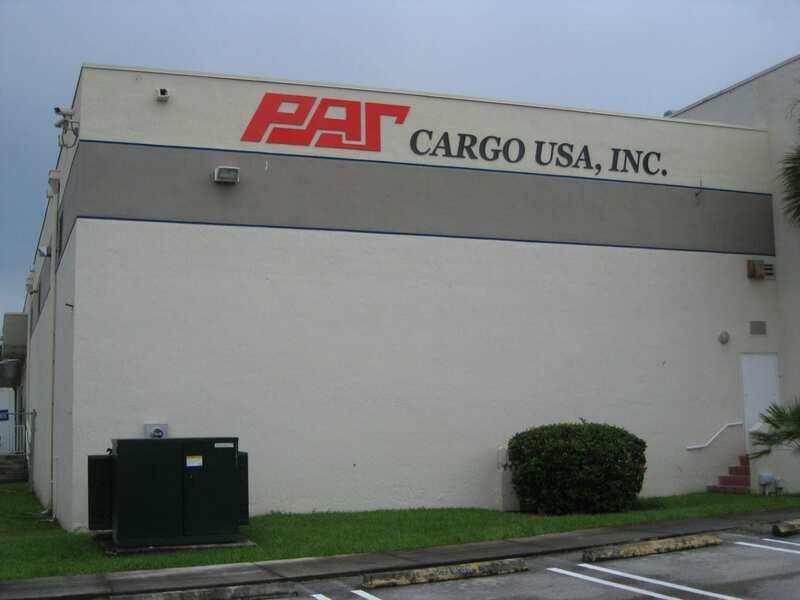 We are the one sign company Miami that really listens to what you want and need and creates a perfect sign to suit that down to a tee. 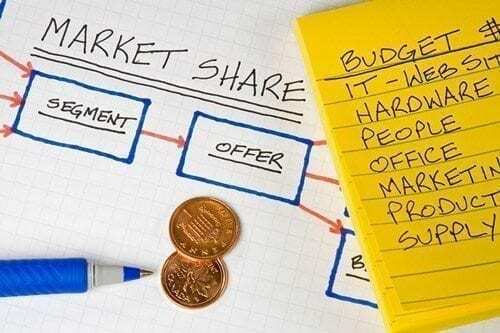 That’s just a few of the marketing tools we have to offer, but let us leave you with one more that can help you market your business while on the go. 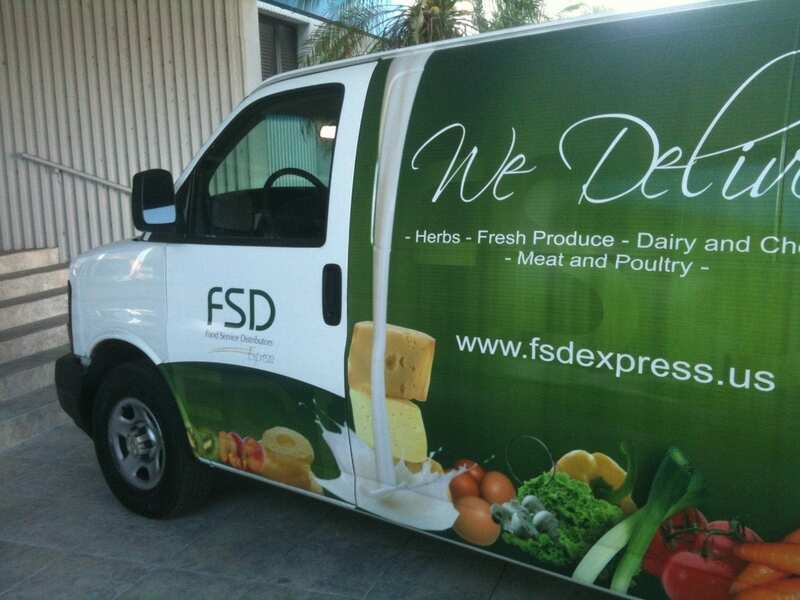 Vehicle wraps Miami are a great way to use your company car to get your message out. Decorating your entire car with brightly colored information about your business is one great way to get noticed while on the go. Since many people now use mobile devices to access the internet, seeing that message pass them by on the street might just be enough to make them look you up on their smartphone. Whatever your marketing need may be, we are Top Class can help, there is no job too large or too small for us.